The serene but powerful color of a London blue topaz gemstone commands attention. 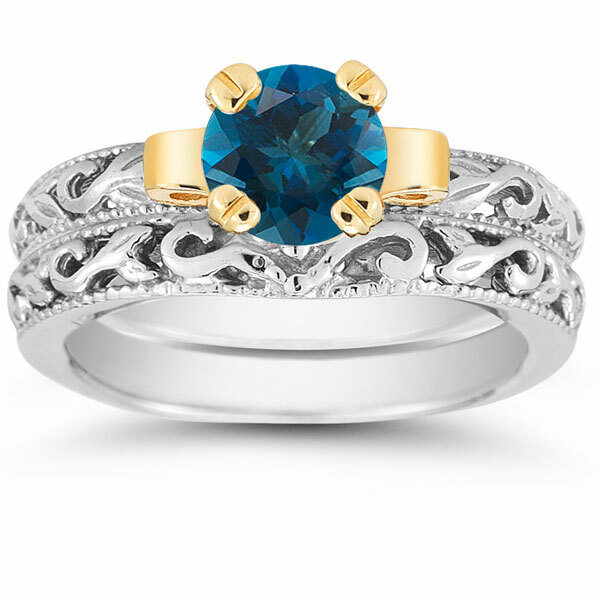 This bridal ring set does just that with a 6mm London blue topaz stone that sits above the bands. 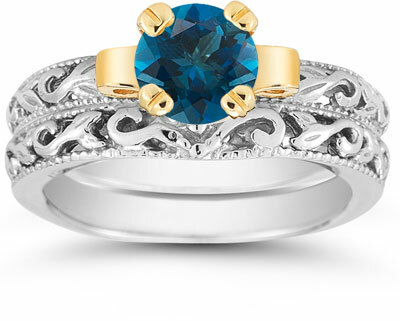 The round cut gem still brings a brilliant shimmer along with its signature blue color. A radiant 14K yellow gold setting offers an unexpected design element and offsets the azure stone. Two bands of 14K white gold create a gleaming foundation for the set, complete with art deco design. We guarantee our 1 Carat Art Deco London Blue Topaz Bridal Ring Set to be high quality, authentic jewelry, as described above.